Shipping is $1, regardless of quantities. If you buy $15 worth of items, this will be be shipped for free. 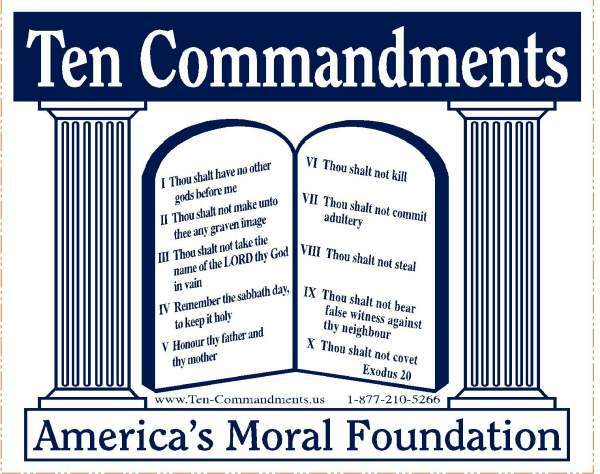 Display the 10 commandments so children can learn them. Create your own Ten Commandments or Christian custom decals. Have an idea for spreading the Gospel or ministry fundraiser? We will help you design and produce your own Custom Christian decals. A central theme of many of the above verses is to emphasis the teaching of children the 10 Commandments.